We recently introduced you to the great new community of new homes in Killeen, Texas called Lakeview. These homes are designed and built by Express Homes, a DR Horton Company. 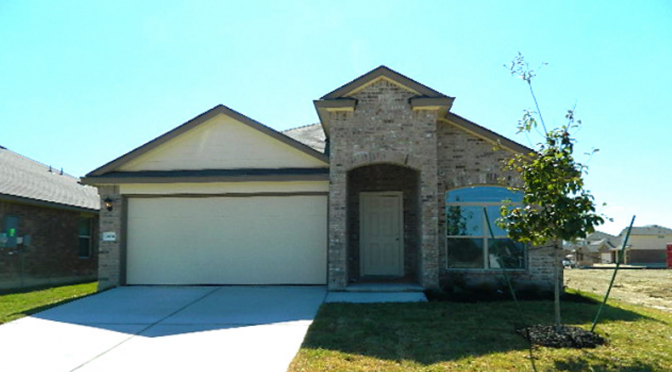 Lakeview offers easy access to Harker Heights, Belton and Temple; and it is a short drive to Belton Lake and B.L.O.R.A. Other Lakeview homes have floor plans with 3 to 5 bedrooms that are either 1 to 2 stories – affordably priced from mid $120’s to $170’s. PLUS, there are lots still available with no rear neighbors. The Fort Hood area is a very affordable area to live. The median home price is between $120,000 and $150,000. Express Homes by D.R. Horton has been developing some of the newer neighborhoods featuring affordable new constructed homes. Between the price and location, it’s hard to beat this offer in Lakeview. Killeen is a very family-centric town with nearly 40% of the households being married families with children. If you have a family or are planning a family, Killeen is a welcome place to settle in. This split floor plan allows enough space for a small family to stretch out and enjoy their home. It is fully equipped with the latest features of newly built homes. The kitchen upgrades include a built-in microwave, dishwasher, flat top stove, and refrigerator. There’s plenty of counter space and cabinet space for everything you need. 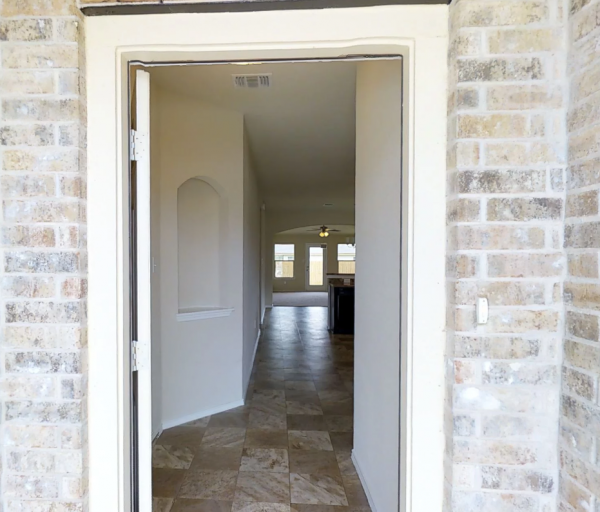 The spacious kitchen connects with your sunlit dining area, and then through some lovely arches is the living room facing the private backyard. The master bedroom boasts a nice size walk-in closet with room for whatever you may need to store. 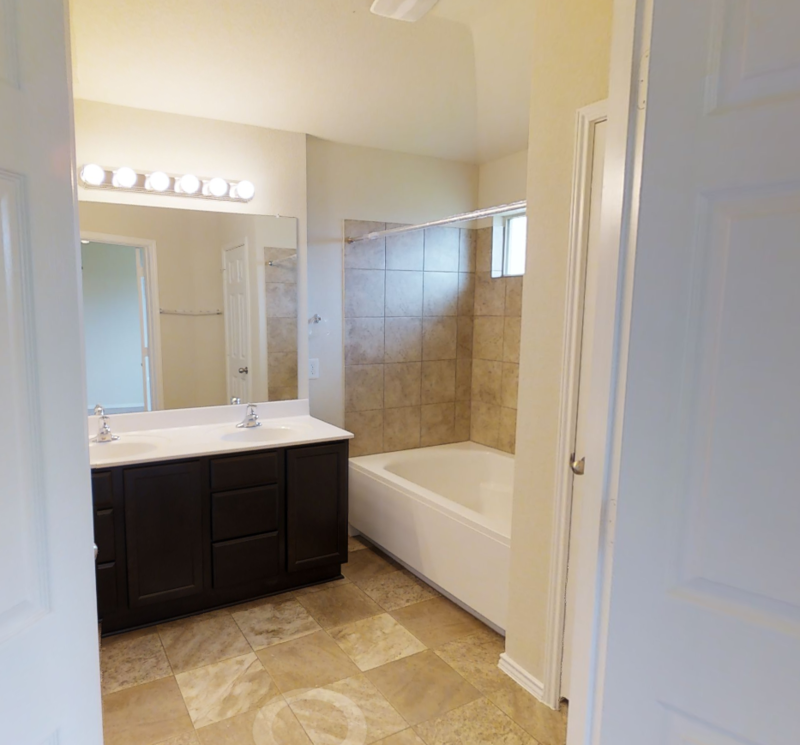 Attached is a lovely master bathroom complete with a deep tub and dual vanities. Ceiling fans are found throughout the home to keep you cool and the air circulating. 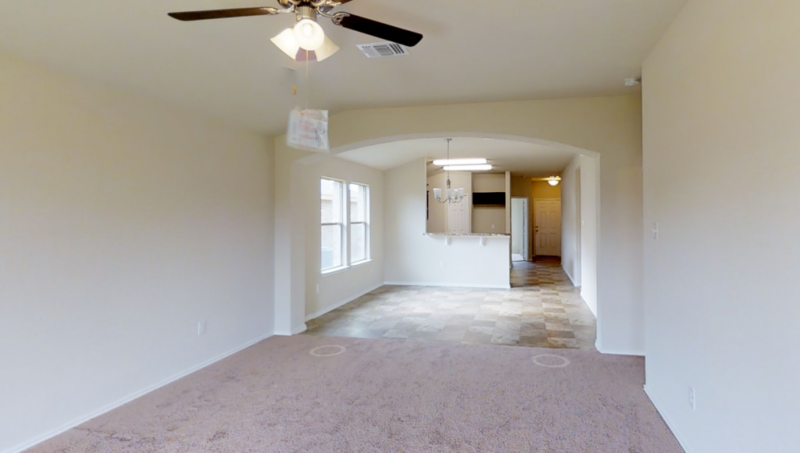 Want to take a 3D Virtual Tour of the home?